We should all have our own personal brand. Especially with the enormous competition that exists today in practically all sectors of employment. The more you differentiate yourself, stand out, and position yourself as a good professional, the better. Personal branding is the perception that others have of you and your level of experience in a particular field, in order to differentiate you from others and achieve greater success in social and professional relationships. Learning to position yourself as an expert in something or as a reference in some sector is key to personal and professional growth. If you manage to work on your personal brand it will be easier for your clients to find and choose you. Mirror, mirror, on the wall, who is the most suitable professional for my needs? Source: Giphy. It may sound silly, but one of the things we value the most when buying a product or hiring a service is its trustworthiness. So whether you want it or not, what others think of you is paramount and you have to work on it to improve and expand your contacts and what they say about you. Building an online reputation is not easy and will take time and effort. Fortunately, you have many examples of other people who have successful personal brands. It is always interesting to learn from the experience of others, so today I present 8 success stories that will help you to evolve your personal brand and achieve your goals. Many times we tend to think that the spouse of the president of a country is merely an ornament. Michelle Obama’s case is quite the opposite, since she was able to find her place and earn an excellent public image. Michelle Obama happy dance. Source: Giphy. Lesson: Naturalness should be the basis of your personal brand. If you’re just pretending, it’ll eventually be noticed and your image will be harmed. Known as the “godfather” of modern marketing, Seth Godin is one of today’s most influential marketing experts. He’s the author of a lot of bestsellers on marketing, leadership, and change, and his blog is one of the most popular on the Internet. Unlike other marketing specialists, Seth is not known for having invented any particular method. He simply observes to understand the most common problems people face, experiments to find out what works, and makes it available to the world to benefit from his knowledge. Seth has managed to take advantage of his personal brand in his business. The most obvious example is his book The Icarus Deception, which he launched through the crowdfunding platform KickStarter. His goal was to reach $40,000, which he achieved in just three hours, to finally multiply the initial amount by seven. Quite a success, as you can see! Lesson: You don’t need to be the best or the most innovative from the first minute. Do things differently instead of doing different things. Tim Ferriss is the author of the well-known book The 4 Hour Work Week, a bestseller with millions of sales worldwide. Today his blog on fourhourworkweek.com receives more than 2.4 million visitors per month and his podcasts TheTim Ferriss Show receive more than 100 million downloads. The personal brand that Tim has created since he launched this book has allowed him to grow and be a reference in everything related to productivity, time management, personal growth, and entrepreneurship. Lesson: Take advantage of your strengths and abilities. Properly managing success can be the best fuel to grow your personal brand. If you’re in the WordPress world you probably know who Joost de Valk is, or at least you’ll know his star product Yoast, the most popular SEO plugin. In addition, Joost is one of the most respected voices in the WordPress community. Joost took the opportunity to democratize SEO by making it accessible to everyone through a simple and user-friendly interface. If you’ve tried other SEO plugins, you’ve probably seen that they are much more complex. 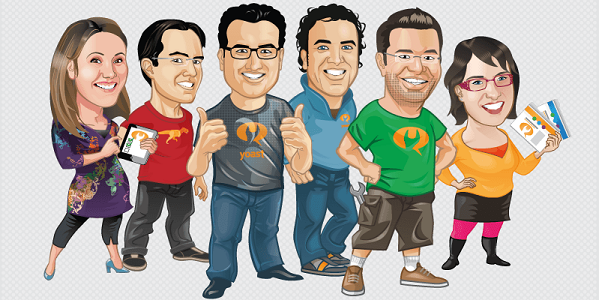 Yoast’s success is partly because of its powerful simplicity. The cartoons of the Yoast team have made their product very close to a wide range of audience. In addition, it should also be noted that he was able to give an image of closeness thanks to the funny cartoons that invaded his website and plugins. All this helped to create that cheerful and funny personal brand image that was so much needed in the SEO world within WordPress. Lesson: Being at the right time in the right place is not easy. Neither is taking advantage of opportunities. So, when the stars line up and put you in a situation like this, jump in and at least try. Neil Patel is co-founder of four multi-million dollar companies: HelloBar, CrazyEgg, QuickSprout, and Kissmetrics. If you are involved in the online marketing world I’m sure you already know him. His articles are very popular, especially for those who are starting to get into this field. 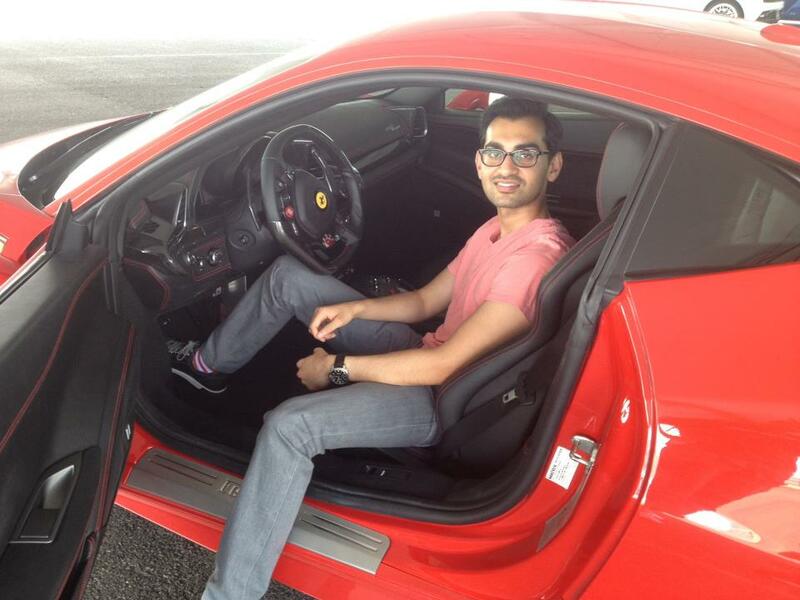 Neil Patel in a Ferrari. Lesson: “Fake it until you make it.” The blowfish technique (pretending to be bigger than what you really are) can help you grow your personal brand, but be careful not to overdo it. It’s a double-edged sword. Chris Lema is a renowned expert in all matters related to business and WordPress. He helps companies to better define their products and reach their audience, in addition to working regularly with membership sites, ecommerce, and SAAS. Plus, he’s a fan of cigars and his hot tub (just follow him on Twitter to see it for yourself). 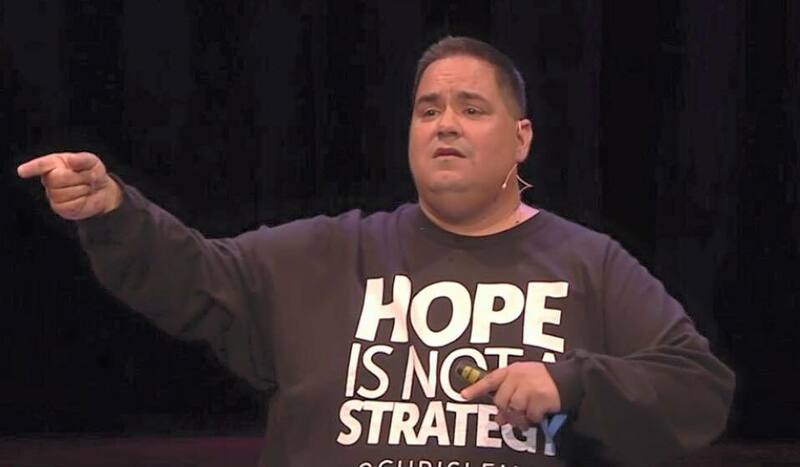 Chris Lema with his T-shirt showing the “Hope is not a strategy” message at YoastCon. If you didn’t see the full video, go see it. It’s brilliant 👍. Chris’ personal brand is based on storytelling. In all the talks I’ve seen of him, as well as in the posts he writes on his blog (which, by the way, I encourage you to visit), he connects with the audience by telling stories that help them better understand the message he wants to convey. Chris is an expert on this. You can see that behind his words there;s a lot of preparation and a long experience behind what he says. It’s also fun how he wears visual supports in the form of t-shirts with the main point of his talk, just like he did in the first YoastCon. Lesson: Base your personal brand on stories that connect with your audience. Convey feelings when communicating and your message will stick. 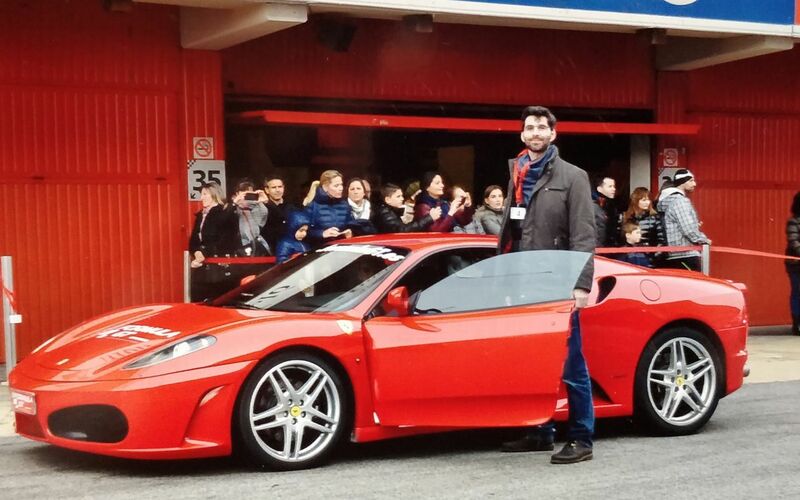 Joan Boluda is one of the best known people in the world of online marketing in Spain. He runs an online marketing podcast and a late show where he interviews people from many different backgrounds (even Ruth had the pleasure of participating in one of his shows). 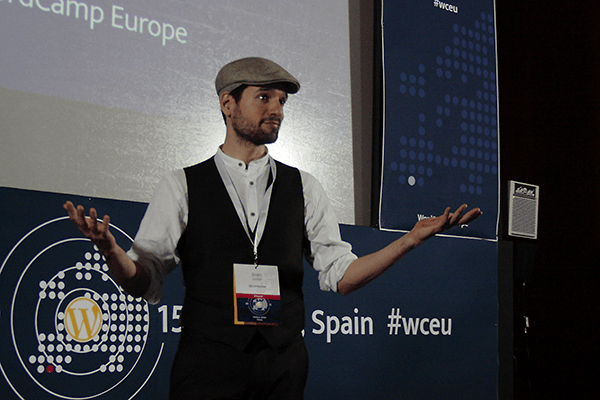 Joan Boluda, speaker at WordCamp Europe 2015 in Seville. There is no doubt about the great work Joan does to grow his personal brand. Behind his hipster-vintage appearance (the cap and the vest are amazing) there’s a lot of work and perseverance to carry out all the projects he’s involved in. His online course platform is one of the most recognized in Spain. But he doesn’t stop there: video recordings, podcasts, courses, consulting, and many, many other actions! Such an effort and dedication is eventually rewarded—take a look, for instance, at his entrepreneur’s guide, his latest crowdfunding project, and see how successful it was! Lesson: Hard work and perseverance are key to getting your personal brand to succeed. Don’t give up! At Nelio we believe that personal branding is important, that’s why we tried from the beginning to work on it. We usually do this through the support we give to our users. It’s at this moment when we try to do our best to satisfy them and provide a professional image about our company and our team. Look at that cute Wapuus we made for Nelio’s team. Final lesson: Work on personal branding every day. With your clients, so they can put in a good word for you. With your coworkers, so they enjoy working with you. With everyone, a little bit every day. You’ll see the results gradually, I assure you. Very nice content. 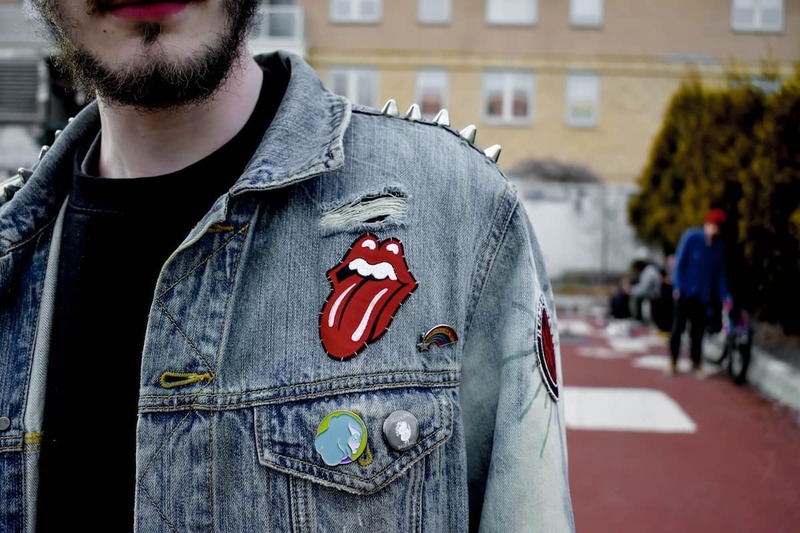 Thanks for sharing this awesome eight examples of successful personal branding. Thanks for your comment and reading us! !